A few weeks ago I set out to master the thin and crispy chocolate chip cookie. You all know I am a soft-baked chunky cookie lover through and through but sometimes nothing beats the chewiness of a slim cookie. 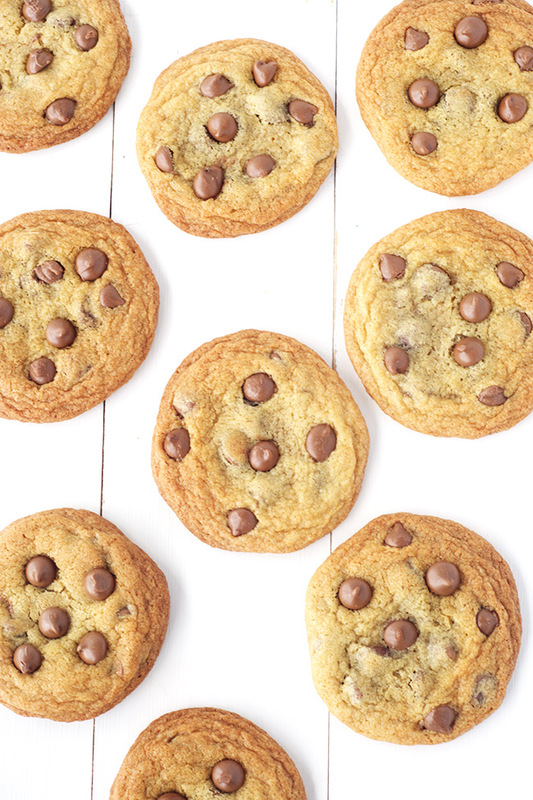 One that is baked to golden perfection, with brown edges and a soft centre stuffed with melty chocolate chips. It at once melts in your mouth whilst still providing the perfect almost sticky chew. Well I found them! And then I covered them in chocolate ice cream, poured over chocolate ganache and made them into the ultimate Chocolate Chip Cookie Ice Cream Sandwich. After churning out batches of cookies, some too thin, some too thick, I learned a few things about cookie science. I needed to make just a few small changes to my original Chocolate Chip Cookie recipe in order for them to be thinner (but not too thin) with more of that all important chewiness. For me, it came down to four factors. The first was upping the sugar – not for extra sweetness but for the crispiness. Taking out the cornflour which helps the cookies to stay thick, not chilling the dough, which also typically reduces the spreading of cookies AND lastly, cooking the cookies for 2 minutes longer. Ta da! 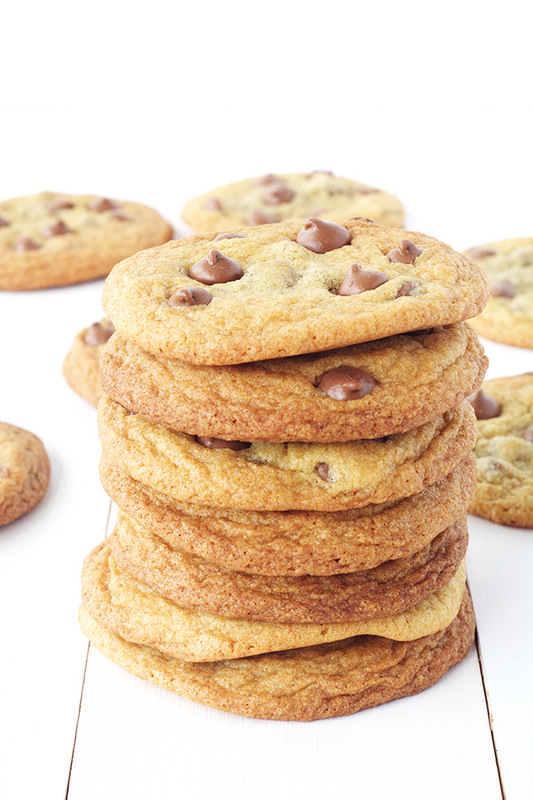 The perfect thin and chewy chocolate chip cookie. These cookies are just perfect for ice cream sandwiches. Grab your favourite ice cream and make cookie sandwiches that will knock the socks off ANY packaged ice cream sandwich. Take it one step further like me and pour over chocolate ganache or use your favourite sauce – chocolate sauce, hot fudge sauce, salted caramel sauce – sky’s the limit. I loved these cookies. I could eat them forever! 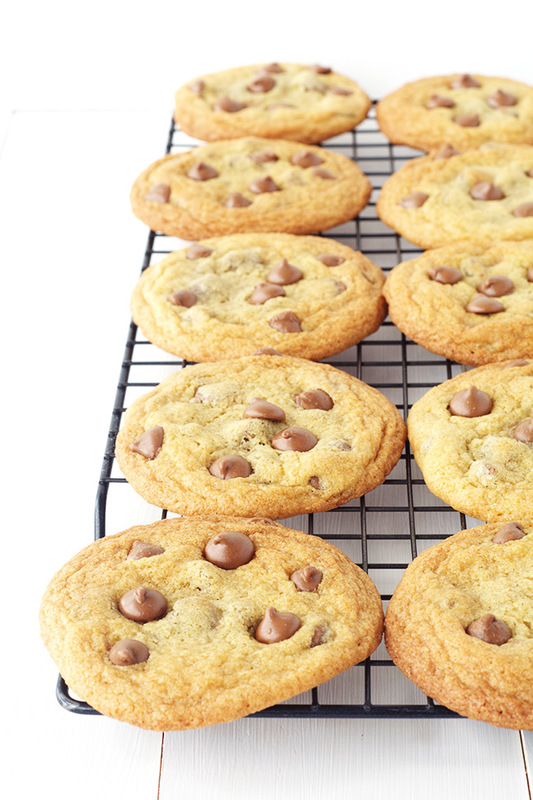 Tell me, are you a soft-baked cookie lover or a thin and crispy cookie fan? I thought I was a chunky cookie die-hard but after eating a few batches of these, I am leaning over towards the chewy cookie category! Who am I? Line two baking trays with baking or parchment paper. Preheat the oven to 180 C (360 F). In a large mixing bowl, beat the butter and sugars using an electric beater until pale and creamy. Add the vanilla and the egg and beat until combined. Sift in the flour, baking soda and salt and stir gently. Add the chocolate chips and stir through. Use a cookie scoop or roll small balls of dough in your hands and pop them onto your prepared tray. Bake your cookies for approximately 11-12 minutes or until golden brown on the edges. Once the cookies have cooled slightly, gently remove from the tray and transfer onto a wire rack to cool completely. 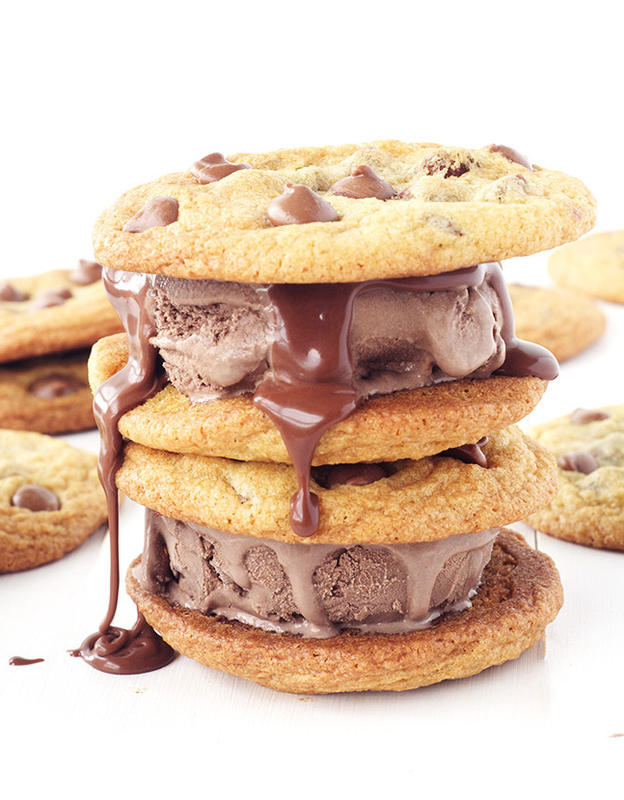 To make ice cream sandwiches, grab two of your cookies. 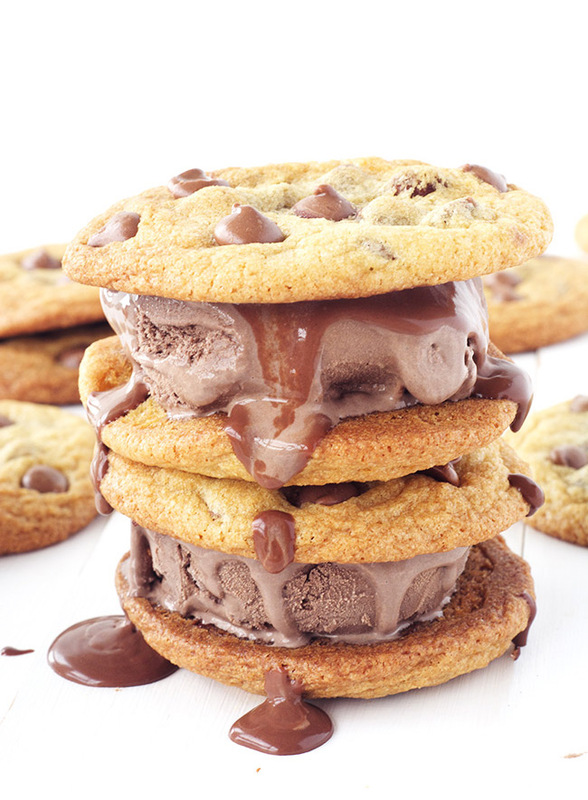 Place a large scoop of ice cream on top of one cookie, then drizzle over a little chocolate sauce and top with the other cookie – enjoy immediately!